But don’t let their simplicity fool you; while the layman’s Moscow Mule may only require vodka, ginger beer and lime juice, there are plenty of restaurants across Long Island taking this classic cocktail to whole new levels. Kyma is bringing their own unique Greek flair to the traditional Moscow Mule with their aptly named ‘Mykonos Mule’. 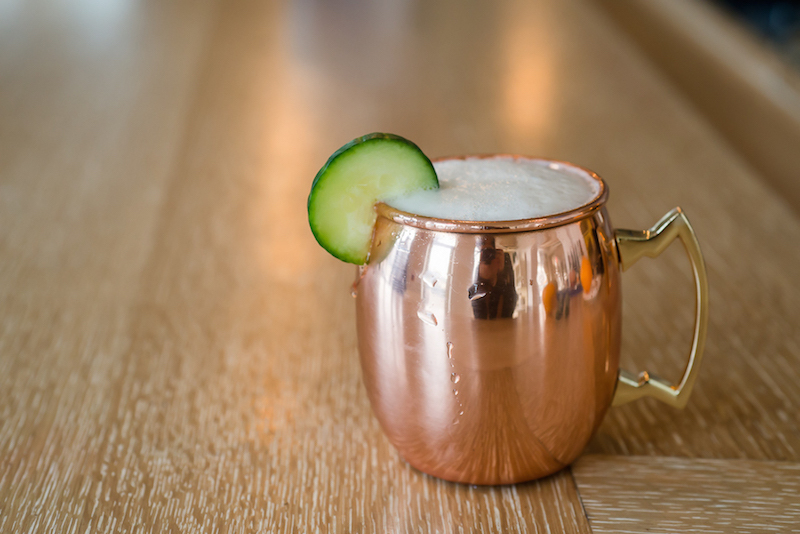 Mixed with Grey Goose, Metaxa, Stoli Ginger Beer and fresh cucumber, this refreshing delight is served in a copper mug for added authenticity. No need to Mule it over: if you’re looking for a good night, Spuntino’s is the place to be. Along with heaping servings of all your favorite Italian dishes, this restaurant also mixes an unbeatable 'Mediterranean Mule'. Their twist on the classic involves Figenza Fig vodka, ginger beer, lime juice and candied ginger for an extra kick. This Moscow Mule is unlike any you’ve ever seen before, and that’s just the way that Library Café likes it! Named after the 1982 novel, this cocktail is mixed with Tanqueray Gin, St. Germain and ginger beer, and uses blackberries to create its signature color and taste. Sometimes, the original is best. That’s why we’d be loathe to forget Indian Wells Tavern and their classic Moscow Mule, mixed with Goslings ginger beer. If that's not your style, try out some of the many other options they have. Our favorites include the Irish Mule-Jameson, Mexican Mule-Milagro and their Kentucky Mule-Bulleit Rye.